This was one of the most popular Hallmark 2001 ornaments. I have also listed Raggedy Ann's best friend Raggedy Andy. 3" H. Mint in mint box, never used. 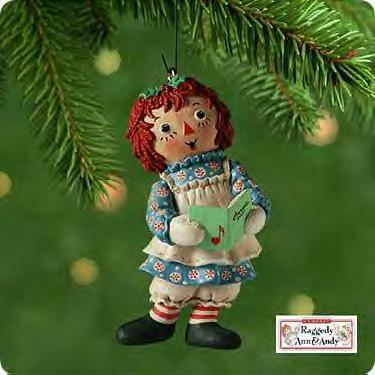 Items Similar To "Raggedy Ann Hallmark 2001 ornament"